Architect Hans Wilgenburg in his role as collaborative designer with ten/fifteen health practitioners, integrated the work of these consultants involved in this radical and innovative practice “to create a loving atmosphere of excellence and compassion that supports healing” (Mind Body Health Centre Mission Statement). 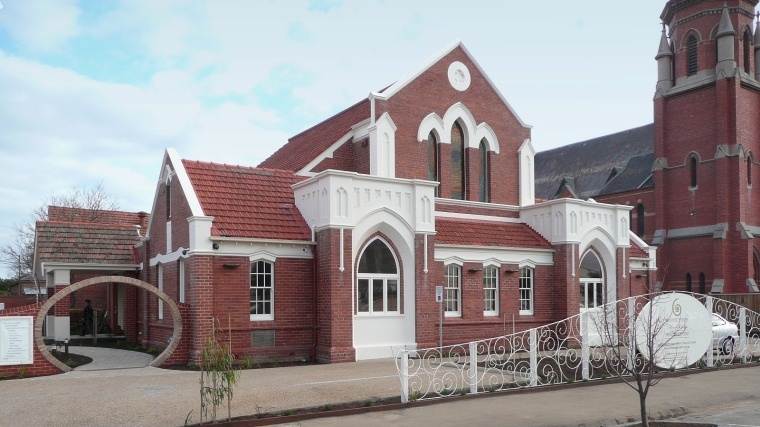 This former Uniting Church Sunday School, now the Mind Body Health Centre, was established by Dr Anne Small and a team of medical doctors and complementary health practitioners. It is the largest integrative health centre in Australia. It has fifteen examination and treatment rooms with a large function room for classes and events.. This entry was posted in Architecture and tagged MINDBODY HEALTH on May 27, 2011 by admin.